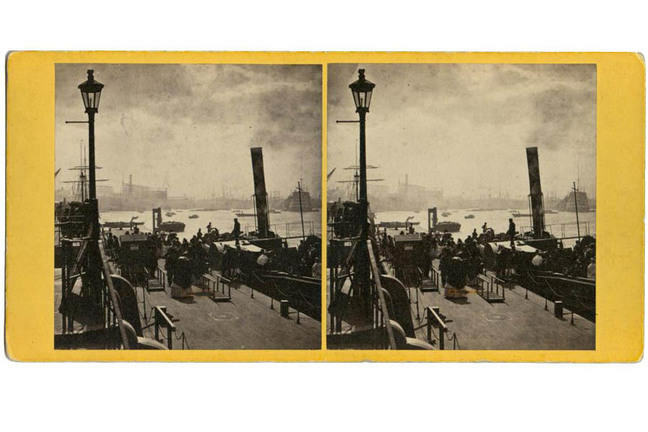 Britain led the world in technology and engineering during Queen Victoria’s reign (1837-1901) and many of the greatest achievements were captured in stereo images. 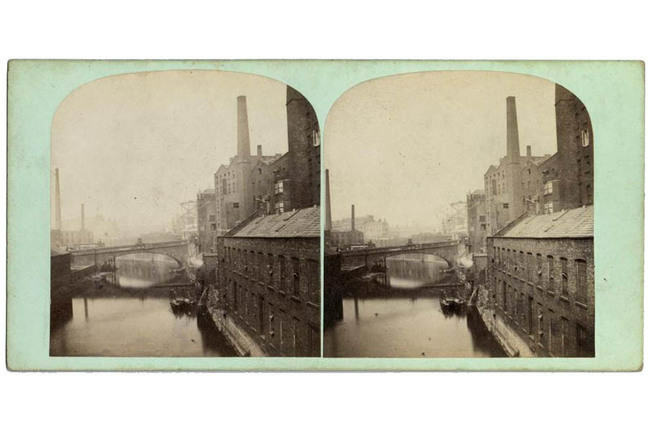 Manchester, seen here below, was just one of the many cities which became dominated by heavy industry and manufacturing. Museums celebrating modern technology were built in London and Edinburgh, amongst other Victorian cities. The view below shows what was then known as the Museum of Science and Art - now the National Museum of Scotland in Edinburgh, that celebrated 150 years in 2016. 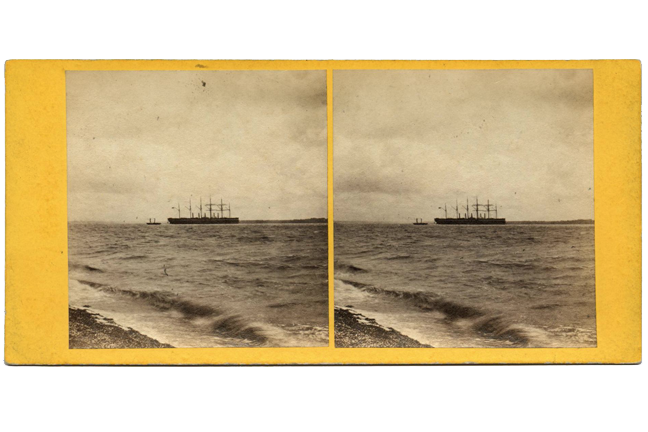 This stereocard (below) depicts the massive Great Eastern steam ship (known as the Leviathan). 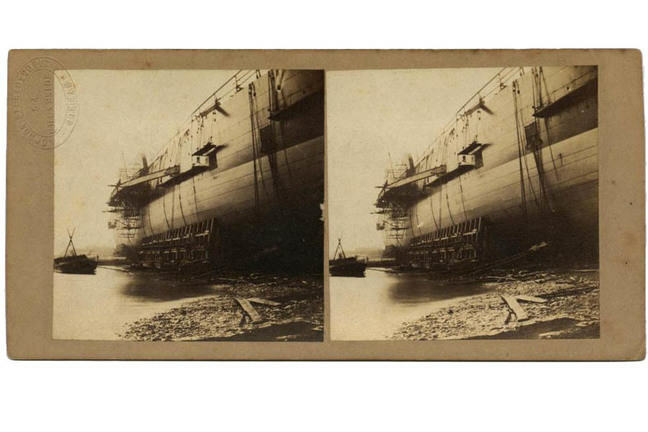 It was designed by English mechanical and civil engineer, Isambard Kingdom Brunel (1806 – 1859) as a passenger vessel, but spent most of her career afloat as a cable-laying ship. The Royal Albert Bridge across the Tamar between Cornwall and Devon, below, was also designed by Isambard Kingdom Brunel, to carry the railway. Surveying started in 1848 and construction commenced in 1854. 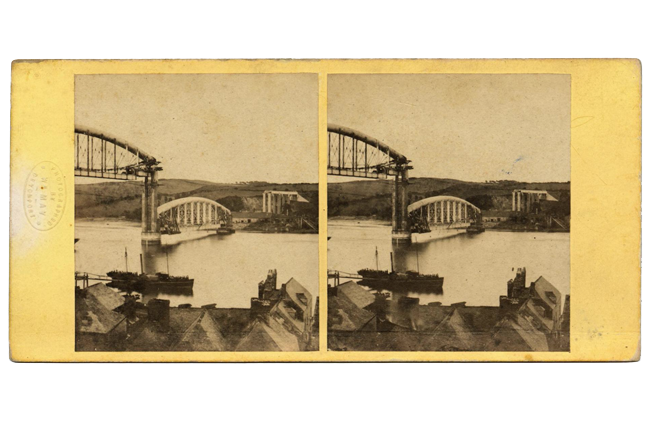 The first main span was positioned in 1857 and the completed bridge was opened by Prince Albert on 2 May 1859. 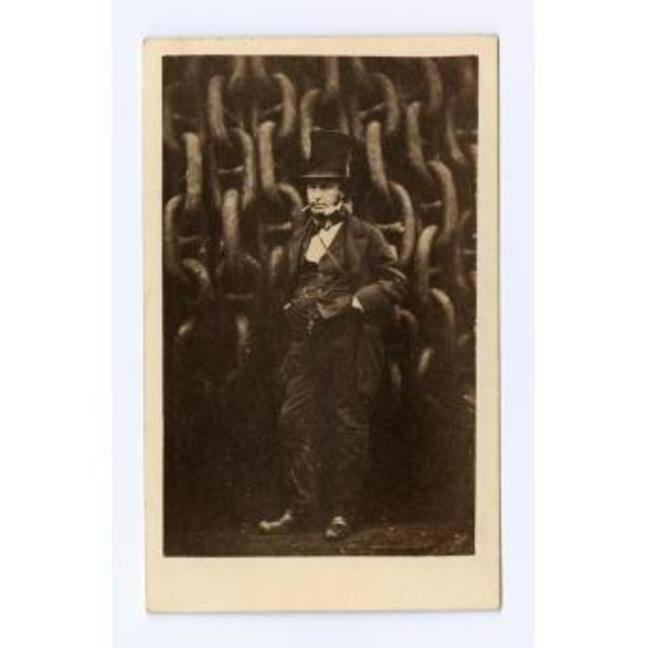 Brunel himself crossed the bridge, in an open wagon, two days later; he died on 5 September 1859. 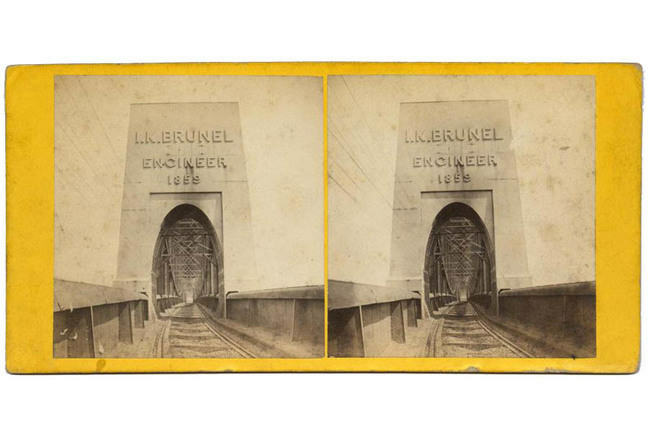 His bridge is still in operation today. 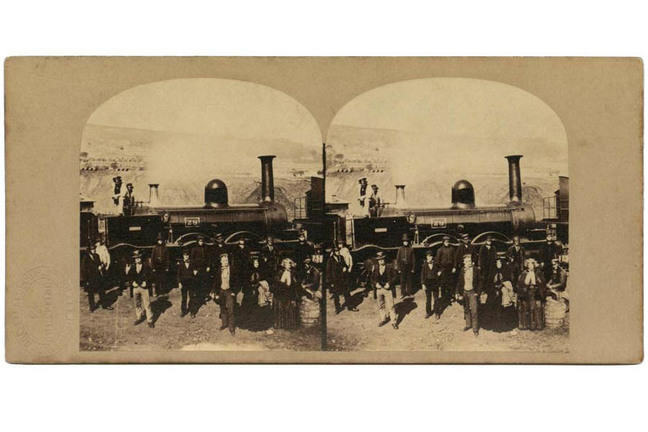 The introduction of the railways to Britain was also recorded through the photographer’s lens. 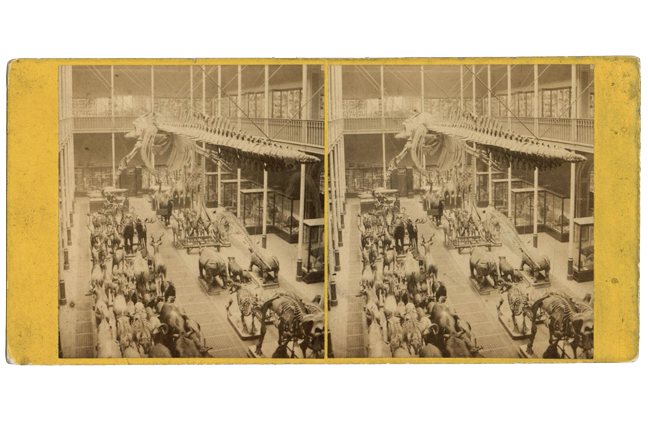 As they became the most popular means of transport for goods and people throughout the Victorian era, so they captured the imagination of photographer and public alike.